Be the first to share your favorite memory, photo or story of Yarbert. This memorial page is dedicated for family, friends and future generations to celebrate the life of their loved one. 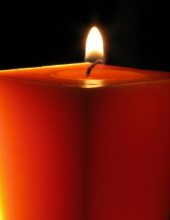 Yarbert Durham, 72, of 739 Jones Chapel Road, Norlina, died January 31, 2019 at his residence. He was born in Warren County to the late Linnie Durham and Ella Williams Durham. A funeral service will be held at 11 Am, Saturday, February 9, 2019 at Union Grove Baptist Church in Warrenton. Interment will follow in the Phipps Chapel Baptist Church Cemetery. Survivors include his wife, Shearley Jones Durham; children: Efram Durham and Shunda Duham; three grandchildren and one brother, Robert Durham. Viewing will be from noon to 6 pm, Friday, February 8, in the funeral home chapel and at the church prior to the service. The family is receiving friends at the residence. Arrangements are by Davis-Royster Funeral Service. To send flowers or a remembrance gift to the family of Yarbert Durham, please visit our Tribute Store. "Email Address" would like to share the life celebration of Yarbert Durham. Click on the "link" to go to share a favorite memory or leave a condolence message for the family.